As Marco Rubio collects early support from key supporters, Scott Walker surges in grass roots' awareness, Chris Christie organizes his fundraising, Jeb Bush wins the Murdoch primary, and Mitt Romney launches Campaign 3.0, the key task for every would be GOP-nominee is to study and understand former Secretary of State Hillary Clinton and of course her famous husband. She is going to be the Democratic nominee, and the GOP nominee should be the individual best positioned to beat her, which means first knowing her history and especially her record at State and her time as the architect of Obamacare 1.0 from 1993-1994. It means knowing her endorsement of the president's immigration executive order and her Twitter applause of the president's State of the Union including its doomed plan to tax 529 plans. Yes, it means even reading her ghastly and grindingly dull memoirs. And it means preparing, memorizing and delivering a concise recollection of the Bill Clinton years, one that always ends as his tenure did with the name Marc Rich. To be the GOP nominee coming out of Cleveland should require knowing everything about Hillary and Bill and being able to effortlessly detail her almost unbelievable record of failing upwards over her twenty-five years in the Beltway. This isn't opposition research so much as it is cramming for a history final that will be given every day between now and election day 2016. It is a huge advantage for the GOP to know their opponent this far out and for Hillaryworld to be left having to prepare for any of a dozen possible nominees. An "open" convention in Cleveland is the worst scenario for Democrats even though some in the GOP recoil from the prospect, but the barrage that opened on Romney from early 2012 simply won't be possible with a nominee hidden behind the curtain of a complicated delegate hunt that may not resolve until late in the Cleveland convention. While Team Hillary scrambles to try and ding a dozen potential opponents, the same set of possible GOP nominees ought to be volleying every day at her, in every speech, as the Cruzs, Jindals, Pauls and the rest of the gang fan out across the country seeking support and momentum. Defining Hillary as a certified failure in the past and a certain failure at 1600 is the task of every GOP candidate and operative. And the GOP Congressional majority can be of great help in this task. 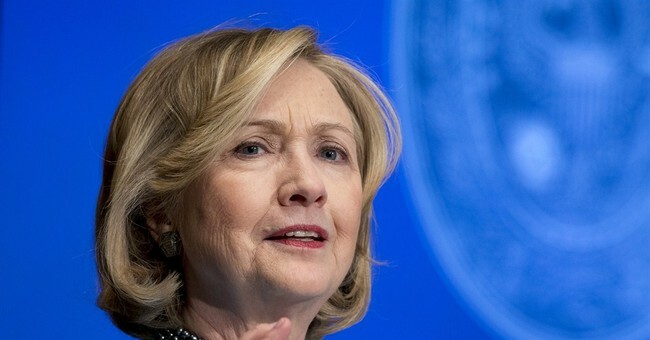 The news that Hillary has agreed to testify before the select committee on Benghazi --she had little choice but could have put up a fight-- is the perfect example of how the Republicans in Congress ought to be conducting their oversight with an eye on 2016. From that hearing should come not photo ops and sound bytes for the members of the Committee but a detailed indeed exhaustive timeline of what did she know and do that night and why did she do it. This requires patient, steady questioning and a willingness to take the slings and arrows of the Hillary Defense Club inside the Beltway MSM, but it is a crucial task. As will be the oversight hearings in both the House and the Senate on Obamacare's many failures and how their cumulative toll on the American health care system is rooted in the plans basic design which was first crafted by --wait for it-- Hillary in 1993. Similarly her rhetoric about the president's economic plan unveiling in the State of the Union and his executive order in effect suspending enforcement of the country's immigration laws should come in for thorough review by witnesses under oath. She has a team of surrogates in waiting. The Republican Congress ought to be keeping them busy. Every great coach --Urban Meyer, Nick Saban, yes, even Belichick-- would kill for a year and a half to prepare a game plan for one opponent on whom the tape in the vault is endless. The GOP nomination process is going to be messy and exciting, but the blocking and tackling of the campaign should be directed at Hillary. Every day, all day, by every participant. As the Kochs and others collect cash and commitments and build out their apparatus for the 2016 race, here's hoping almost none of it is spent trying to anticipate or influence the will of the GOP primary electorate, and almost all of it goes into assuring the public understands the full measure of the catastrophes Hillary has left in her long wake inside of D.C.'s elite.